Cartmel in Bloom is a campaign run by a group of volunteers with decisions taken by a small committee known as the Cartmel In Bloom Group. It is a non profit making entity. The Cartmel entry into the regional or national ‘In Bloom’ competitions focuses on the undoubted charm of the village, the changing floral displays throughout the year, the involvement and awareness of its residents and the work carried out in order to retain and enhance Cartmel’s heritage and natural beauty. Many volunteers assist the Group in its activities by litter picking, weeding, planting, watering, fund raising and donating. Both of its schools, residents and businesses embrace the aspirations of the Cartmel In Bloom Group realising that the work carried out has an impact on all. To volunteer, for more information on their activities or to sponsor, please contact David or Linda on 015395 34840 or Irini on 07876 245 563. 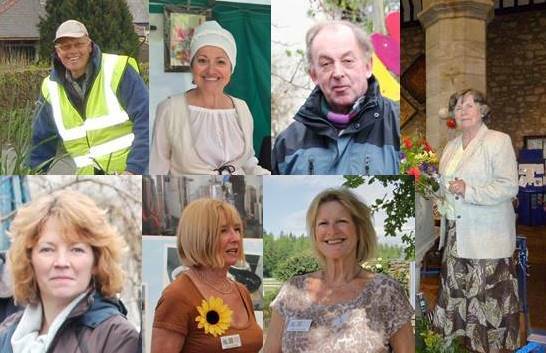 We consider the activities of the Cartmel In Bloom Group and the volunteers invaluable for the way the Village looks, the environment is considered and community brought together. We therefore see it fitting to support them financially from time to time and include information about them in this Site.